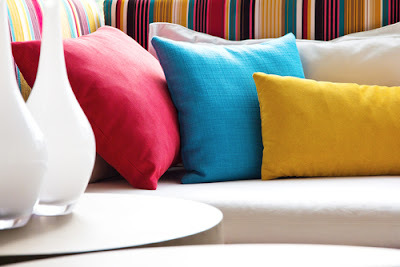 Upholstery Cleaning Services: Is It Okay To Steam Clean Fabric Sofas? Is It Okay To Steam Clean Fabric Sofas? So you are looking for the best way to clean that fabric sofa of yours, and you aren’t sure what’s the best way to do so. Well, there are quite a number of ways to clean a fabric, but the common ways are by using shampoo cleaning and upholstery steam cleaning, or simply steam cleaning. All have their own pros and cons, but mostly pros. Anyway, the answer to the above question has both short and long versions. The shorter version? Yes, it is okay to steam clean your fabric sofa. Now let’s have a look at the longer version, and in the process give the reason why steam cleaning your fabric sofa is more effective and why it’s more sanitary. For starters, upholstery steam cleaning has become more common with most people in the recent years, mainly because of its safe and less-chemical benefits. It actually doesn’t use chemicals at all. Steam cleaning is fast replacing the traditional shampoo method. This is because more and more people are finding steam cleaning much safer, and leaves their homes and offices clean and pristine. Did you know that a typical person spends more than 90 percent of his/her time in an office or in a house? This means that there are lots of contaminants in our houses and offices. The situation is even worse if there are kids and pets involved. They greatly increase the volume of incoming pollutants, and over time, there is a build-up of grime and dust. This is the reason why there is the need to regularly clean our fabric sofas – as well as other upholstery. Many cleaning methods out there usually use chemicals, which may be harmful in the long run. Chemicals may have very negative effects on both children and adults alike, especially for those with allergies. But that’s where steam cleaning comes in. So what exactly is steam cleaning? And how does it work? Just as the names goes, the machine is all about “steam” whereby it applies vaporized water to a multitude of surfaces, either in a home setting or at the office. The machine actually resembles a vacuum cleaner and it operates under very hot temperatures, usually about 200º F.
The steam cleaner works by first heating the sofa, whereby physical bonds between dirt and the fabric are weakened. Once the bonds have been weakened, the dry steam or the overheated water then wipes the dirt. The dirt is then collected in a towel that’s been steam moistened, which is always attached to the machine. The level of moisture that’s applied is easily controlled depending on surface that’s being worked on. This is to ensure that the material of the sofa is not damaged. That is, if the sofa is made of fabric, then the temperature applied will be different to a sofa that is, let’s say, suede or microfiber. It basically means that steam cleaning is safe health-wise, and at the same time protects the sofa thus prolonging its lifetime. Why Steam Cleaning Is Preferable? There is no doubt that the usual spot cleaning and traditional vacuuming are effective cleaning methods. And that they are vital when it comes to prolonging the life of your fabric sofa. However, such methods aren’t as effective in comparison to steam cleaning. This is because vacuuming and spot cleaning tend to only remove debris found at the surface, leaving dirt deeply seated at the fabric. When a deeper treatment is performed, further dirt and harmful contaminants are removed, such as dust, mites, pet hair, and any other debris that finds its way deep into the fibers. Well, shampoo treatments have been the most preferable, especially in the past few decades. Yes, the method is just as effective, and of course, you cannot rule it out when it comes to cleaning your fabric sofa. That is, shampoo sofa cleaning works by producing a substantial volume of foam that breaks up the dirt and any other contaminant, and then when you wipe the surface, the broken dirt washes out. Shampoo cleaning is also advantageous since its lubricating texture minimizes damage to the fibers of the fabric sofa; something that’s common with other methods such as use of brush. Most people also prefer shampoo cleaning because it’s faster since you only need to clean the spot on the sofa that’s been affected by the dirt, say, maybe a spilled tea or coffee, or something like that. Despite all the advantages associated with shampoo sofa cleaning, steam cleaning is sterile and much preferable, especially for those looking to reduce the amount of chemicals in their houses and offices. Remember that shampoo cleaning utilizes chemicals and its continuous use may lead to accumulation of chemicals on your sofa, and this may have a long term (negative) effect on your health, particularly for those with children. Steam cleaning not only uses natural methods, steam water, but also, through heat application, helps reduce bacteria, mites, germs, and any other toxins embedded on the fabric. Steam cleaning uses suction in eliminating the heated, weakened dirt. The advantage of this is the fact that it reaches dirt that’s deeply lodged within the fiber, which is something that no other cleaning method can achieve. This means that no dirt, no matter how small, is left behind. Everything gets sucked out whenever you steam clean your fabric sofa. And that’s probably the main reason why steam cleaning has become so popular. With steam cleaning, there is very little (or no) discoloration of the sofa. That is, you’ll rarely see the yellowing effect that’s common with other brighteners. 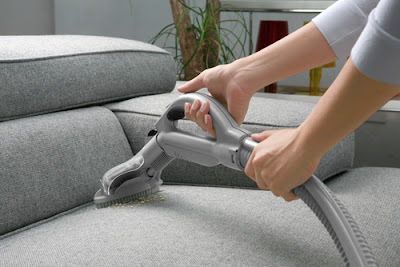 Steam cleaning is also faster since it dries the sofa faster compared to spot cleaning. The overheating effect makes sure that the sofa dries faster and ready for use within a matter of minutes. You don’t have to wait for the sofa to dry. Re-soiling is also minimized. Since there is no chemical use, it means that the air around the office or the house is pure and safe to breath. This type of cleaning is perfect for guys with allergy issues, such as sinusitis. 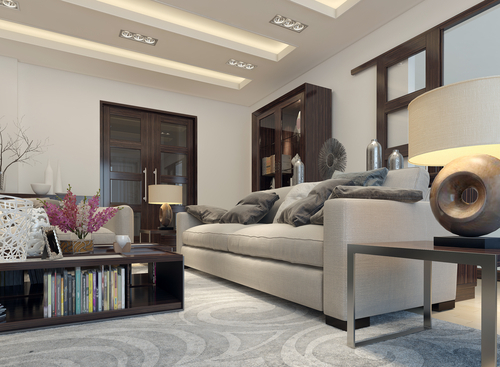 When cleaning sofa with a steam cleaner, there is also the advantage of the fact that this method is a natural deodorizing and sanitizing agent without chemical odor whatsoever. That is, you don’t have to put some kind of masks or anything when using the steam cleaning machine, because there are no chemicals in use. Therefore, to answer the question if it is okay to steam clean your sofa, then the answer is pretty straightforward by now; yes, you can.